NEW RELEASE! BARGAIN ~ $0.99! 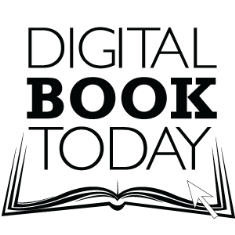 Rachel Cameron prefers to lick her wounds and protect her children from gossip and shame in isolation on a small homestead in the Ozark Mountains. But life-long bachelor and ex-Marine, Sheriff Garrett Stark has other ideas. Drawn to Rachel, he wields all the power and charm he can muster to insist Rachel return to town for her safety and that of her children. Exasperation and anger rule on both sides. Rachel balks, but does not anticipate the raft of dizzying emotions stirred by the Sheriff’s relentless attention. The moment Garrett takes her into his arms Rachel knows she has to make a choice. Honor the truth and face her fears or live forever as an outsider. This entry was posted in Amazon, Bargain Spotlight ebook, Best Selling Author, Bestselling Series, Books, Contemporary Romance, Donna Fasano, eNovaW, Free ebook, Jackie Weger, Mystery, New Release, Romance Books, Romantic Picks, Romantic Suspense, Summer Read, USA Today Bestselling Author, Women's Fiction and tagged Carmen DeSousa, Colleen Connally, Donna Fasano, Fragmented, She Belongs To Me, The Sheriff's Woman, The Wedding Planner's Son. Bookmark the permalink. 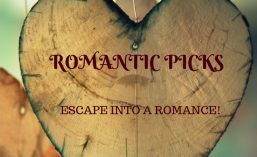 ← ROMANTIC PICKS #GIVEAWAY and Don’t Miss these #FREE ebooks! Whoa! Jerri Hines, you have a spectacular line up of books today. Honor to have The Sheriff’s Woman among them. Sharing! Excited about your new release. Can’t wait to read it!